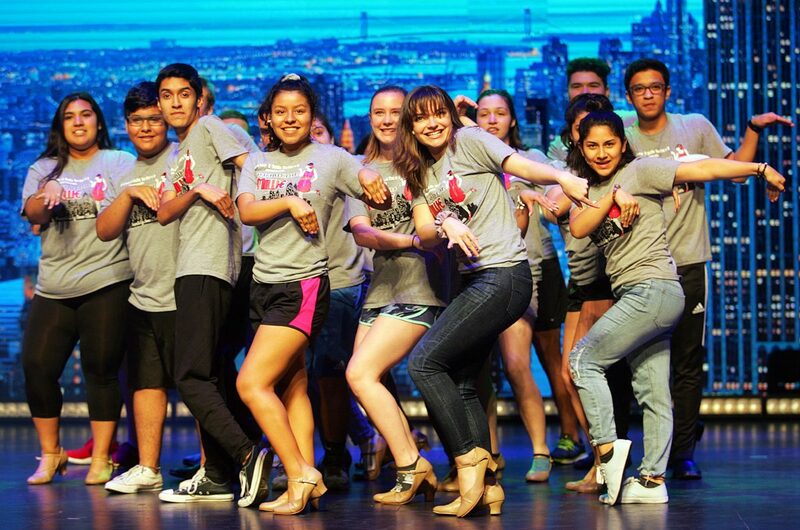 Students from Nikki Rowe High School participate in rehearsals for the premiere of the The Palms, Hidalgo County High School Theater Awards, at the McAllen Performing Arts Center on Friday, April 20, 2018, in McAllen. 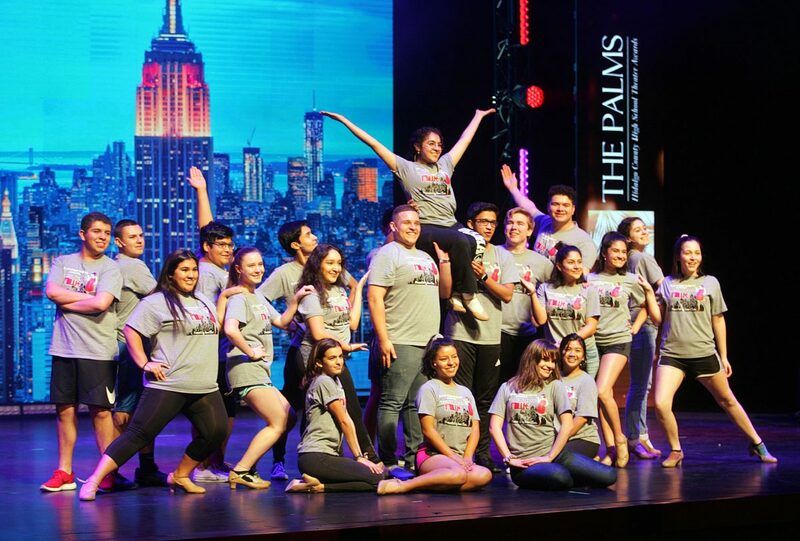 McALLEN — Robert Vela High School senior Kamryn Matta recalls her nervousness awaiting the nominations for the inaugural Hidalgo County high school theater awards, The Palms. The 18-year-old was stage manager and a sound and lighting designer for Vela’s production of the musical “Heathers” based on the 1988 cult film. The show was nominated for all but one technical and acting awards. Retired Valley drama directors Michael Alebis and Gilbert Zepeda approached the McAllen Convention Center last year with the idea. A countywide high school theater award has been talked about for years, according to current and former directors. 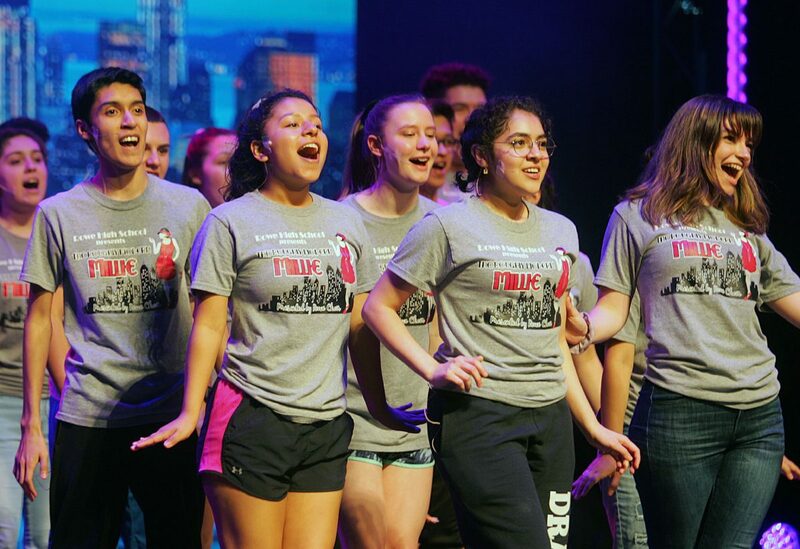 Big cities around Texas have high school theater award shows modeled on the Tony Awards, and the pair emulated that format for the Hidalgo County show. The red carpet starts at 6 p.m. when formally dressed students arrive at the McPAC. Magician and former Pharr thespian Oscar Muñoz will serve as emcee as the Valley theater community honors their own. Performances are also scheduled for the best musical, and top male and female lead nominees. Band has Pigskin Jubilee and athletics have sports coverage, they said. Alebis and Zepeda wanted to encourage theater arts locally by honoring student achievement. And with the creation of a website, aggregated local show calendar and scholarship fund, they’re hoping to strengthen the community. Because of busy rehearsal and performance schedules, high school theater students don’t often see their colleague’s shows. And as a former long-time director, he admitted he was surprised at the overall quality of Valley productions he gets to enjoy now that he’s no longer at the helm of a production. Schools and students will win awards Saturday for best costuming, light, sound, technical crew, acting, supporting acting, cameo role, best production, as well as lead and supporting actors and actresses, and poster. Twenty-one productions are nominated and categories were included to “emphasize that theater is both acting and technical,” according to organizers. “There are more jobs for those kids in those areas,” said Zepeda of the technical aspects of theater. “We have all these people that major in theater and they want to become actors. Many theater graduates from the Valley are working in technical areas, the directors said. Alebis sees the technical awards “evolving.” Currently, technical awards acknowledge schools generally. “We hope in the future it will go to an actual student,” he said. Matta will attend St. Mary’s University of Minnesota to study theater design and technology in pursuit of a career in the field. As a reserved freshman, she took theater to fill an extra elective. While Matta called the awards “a blessing” and is grateful for the opportunity to honor her creative community, she said that isn’t what motivates them. “We love what we do and just to have one person that stops after the show to tell us, ‘Wow. You put on an amazing show,’ is just enough for us,” Matta said.